World Football Commentaries: David Beckham Signs as Global Football Ambassador for Yahoo! David Beckham Signs as Global Football Ambassador for Yahoo! 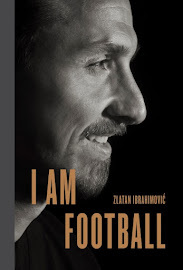 A guest post by Justin Ham representing Cake Group for World Football Commentaries. I had some news to share with you and your readers about David Beckham. 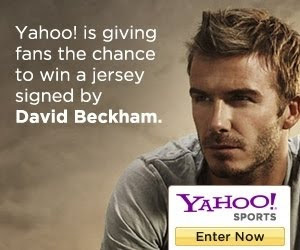 David Beckham signed with Yahoo! as Global Football Ambassador and over the coming months there will be a wealth of exclusive content that will come from the partnership. But for now, Yahoo! and David Beckham have launched some sweepstakes in which they are giving fans the chance to win an autographed jersey with a personalized message for the winner! One can also submit a question, which might get answered by DB! All images courtesy of Justin Ham and Yahoo!